Hi Everyone and Happy Labor Day!! 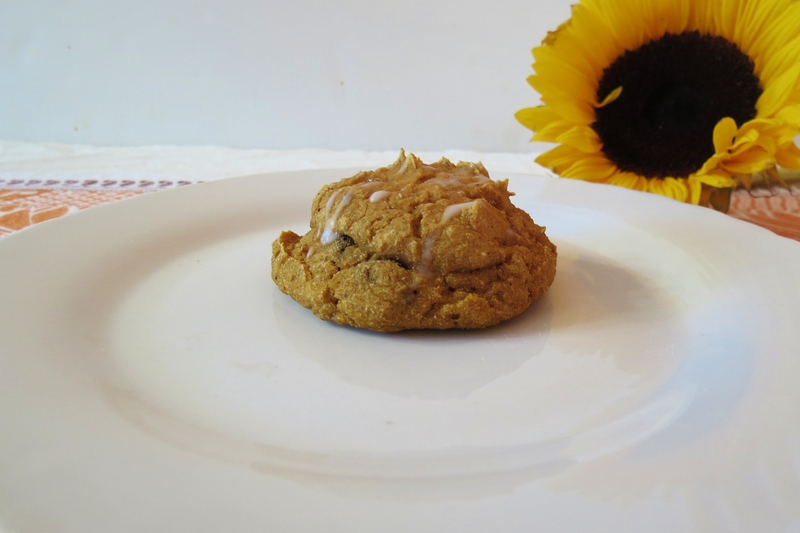 Today I have for you a moist, healthy, yummy pumpkin biscuit. It’s so moist and tender I can barely keep my hands off of them. On Sunday morning, I had no idea what to make. I debated about making scones or muffins, but I was hungry and I wanted something that was more on the quick side, so I threw together these lovely biscuits. I decided on pumpkin because I have a ton of it left over from my frappes, and making pumpkin frappes barley put a dent in a 29 oz can of pumpkin. These biscuits are pretty moist and there not real sweet, that’s why I put the sugar glaze on top. If you like a sweeter biscuit I recommend using 1/4 cup of sugar in the recipe to make it more sweet. I’m really trying to cut back on sugar, but I have been told that my recipes could be sweeter. Sweetness is an individual preference and if I didn’t have a growing waistline I would so be adding more sugar. The batter to these biscuits is pretty wet, so don’t let that scare you. I used a heaping cookie scoop of batter to make these. I ended with 18 fat biscuits. Here’s what they looked like on the cookie sheet before baking them. They kind of look like tan cow pies. Yes, I”m gross and yes you really read that!! Now they may look kind of funny before baking them, but believe me if you’re a pumpkin fan you will be happily pleased with the out come. There only 80 calories each, 3 grams of fiber and 18 carbs. Not to shabby for a biscuit. These are also vegan, since I used coconut milk instead of skim milk. 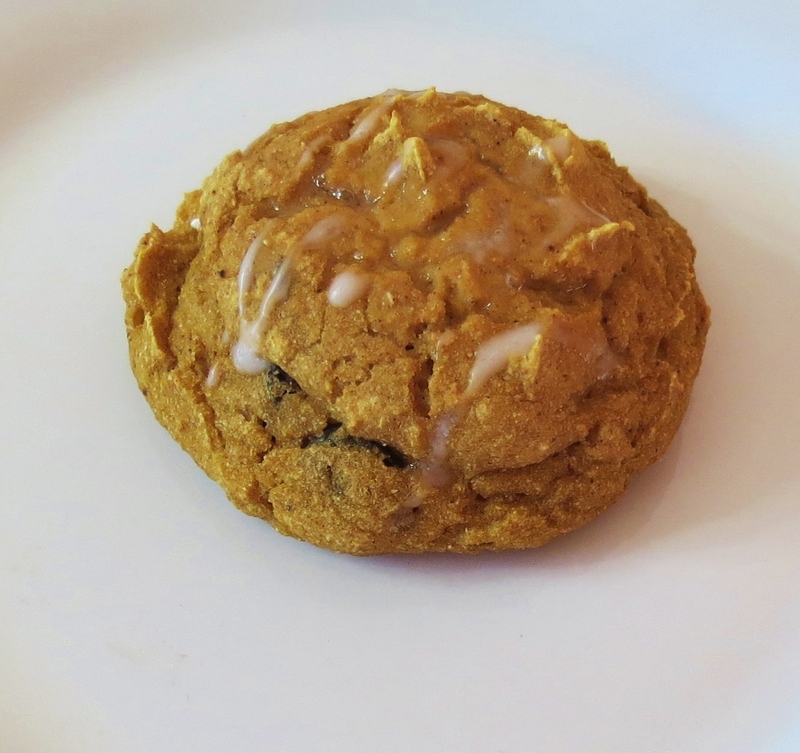 A quick, healthy, moist pumpkin biscuit with a drizzle of sweet glaze. In a large bowl, add pumpkin, coconut milk, vanilla extract and applesauce; mix until combined. 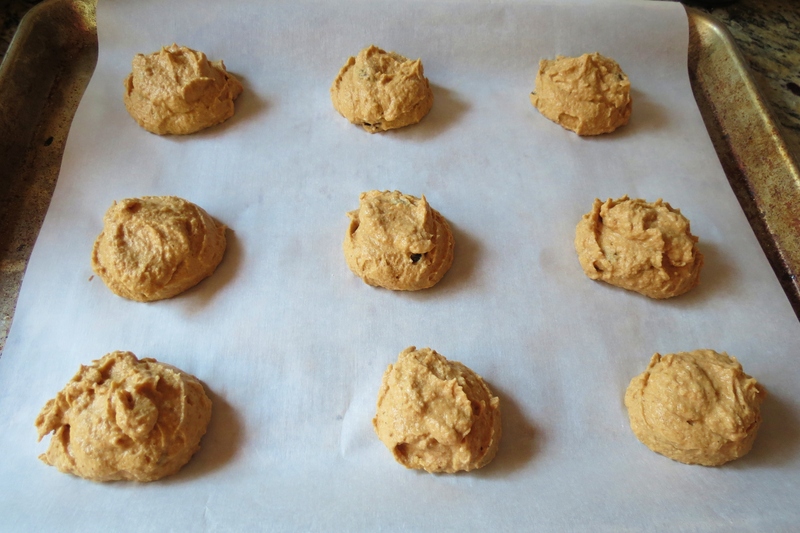 Add flour, baking powder, pumpkin spice and stevia to the pumpkin mixture; mix until combined. Drop large spoonfuls on to baking sheet, about 2 inches apart. Bake for 12 - 17 minutes or until lightly golden. Note: For a sweeter biscuit, I highly recommend using about ¼ cup of sugar. These are best served right away. If your not going to eat the whole batch, I recommend freezing them for up to 3 months. To warm, just take a biscuit out of the freezer and microwave for about 30 seconds or so. Well my Friends, my Husband is waiting for me. I think were going to go for a ride and get lunch. Hope you have a great day!!! 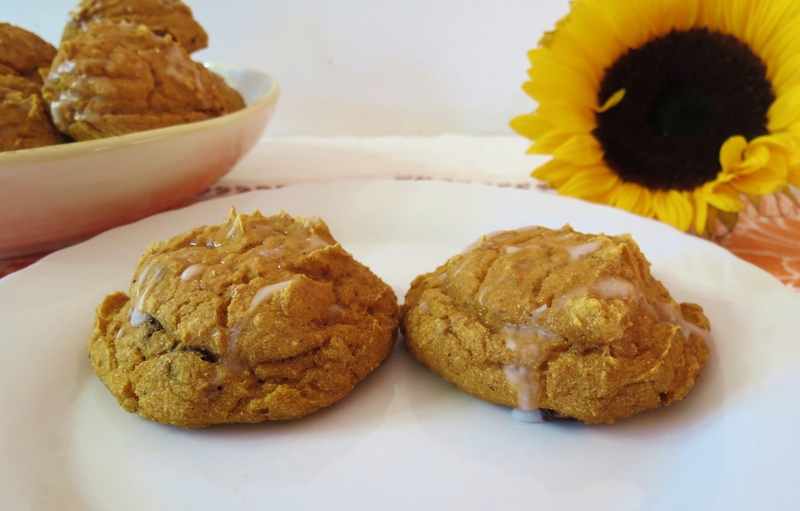 Pumpkin biscuits?! YUM! Love the use of coconut milk in this recipe! I am loving coconut milk these days, it matches pumpkin nicely!! I just shared it on facebook and StumbleUpon. 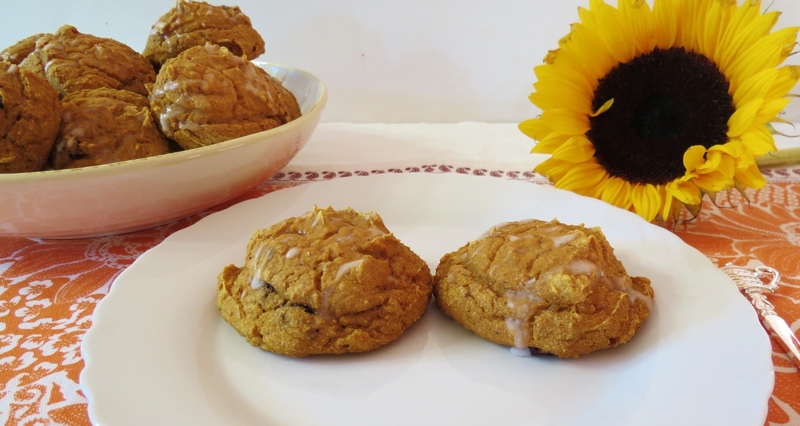 I love your pumpkin biscuits, yummy…. Thank you so much! That is so sweet of you! What is your FB page? I’d love to check it out. Thanks Joanne! I noticed SB has there pumpkins scones and muffins in!! I love this time of year, but I’m not ready for summer to end! 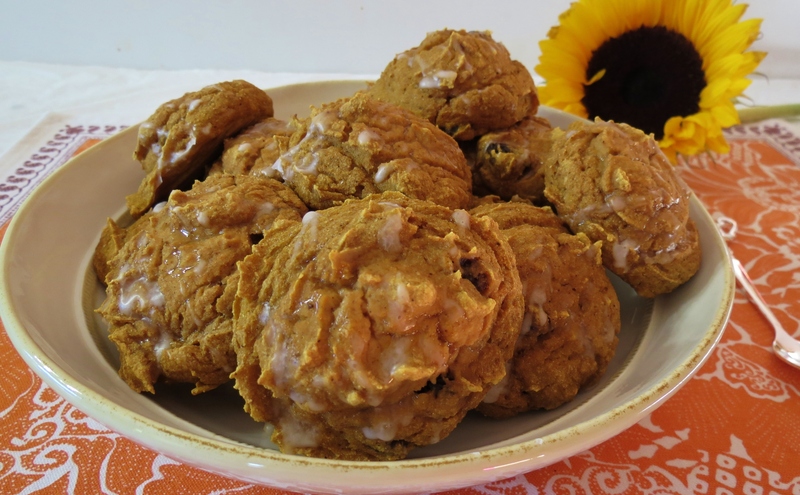 I am so looking forward to fall and these biscuits look like a great way to get into the season! Yum! Plus I love that you used coconut milk. I love fall, and it’s been fall like out here, but today it is hot!! Not going to complain, I love the heat! Winter will be here before we know it! I’m laughing Jennifer because I took a pumpkin cake to a celebration at work last night. I have been dying to start cooking/baking “fall” but told myself I had to at least wait till Labor Day! These biscuits sound wonderful! I’m afraid the 80 calories would be a joke for me as I would probably slather them with butter! YUM! lol, butter in these would be good, so would a cream cheese frosting, but shhh, I didn’t say that! 🙂 I hope you post your recipe for pumpkin cake!! 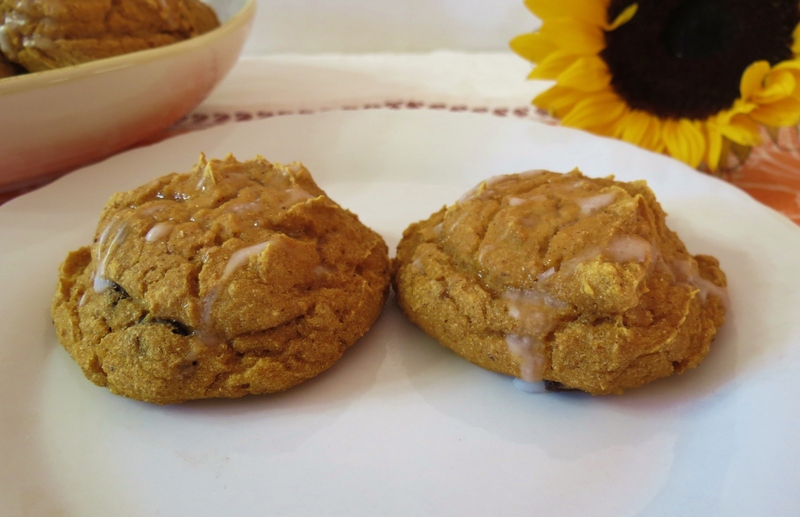 I love anything pumpkin and with fall soon approaching, I will be definitely making these!